Now this dish is perfect for a BBQ! I first had this when I was in Nicaragua and ended up having it nearly every single night I was there it was so delicious. So obviously when I got home I tried it and it is really simple. In a blender add all the ingredients (except the beef) and blend. 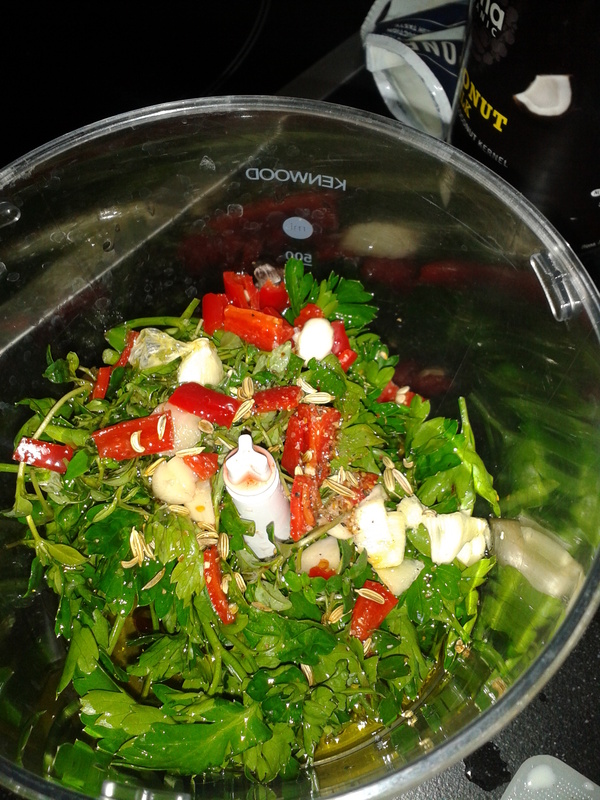 Put the beef in a bowl and a third of the chimichurri mixture to marinate. You can do this the night before or a couple of hours before depending on the time you have. Keep the rest covered in the fridge. When it’s BBQ day cook the meat. You’ll have to decide on your timings depending on how hot your BBQ is and how red you want your meat but it really doesn’t take long – about 5 minutes on each side (medium rare for me!). 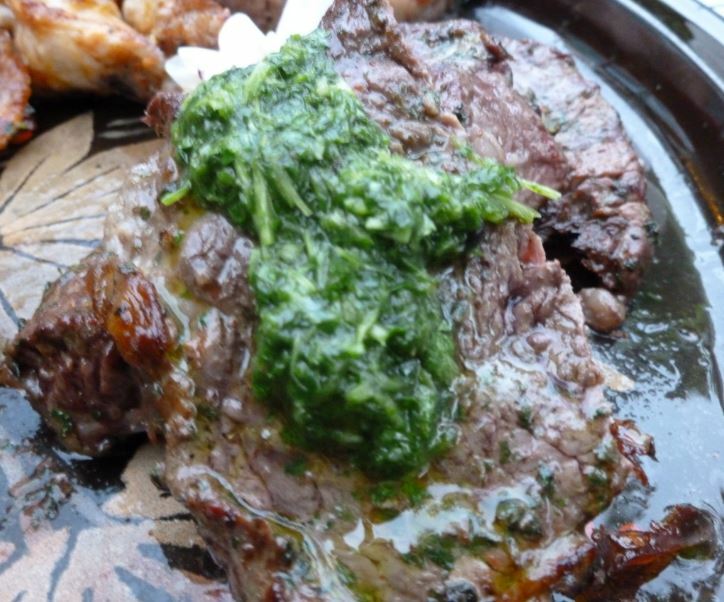 Once your meat is cooked cut it into slices on a large plate and cover it with another third of the chimichurri sauce and serve. The other third is for anyone who might like to add some sauce. This is definitely a must try dish!